Co-Author: Scot Herbst  — Gone are the days when people of different disciplines worked successfully in their independent silos within organizations. Collaboration and integration are the hallmarks of today’s successful businesses. At LUNAR, we’ve organized our practice to build this kind of powerful collaboration among creative disciplines, like industrial design, interaction design, engineering, graphic design, and manufacturing. 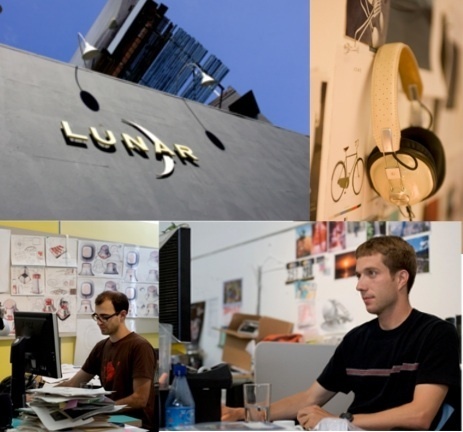 Collaboration between designers and engineers at LUNAR is especially important in product development projects. Engineering liaisons attached to design initiatives and vice-versa help ensure that aesthetic expressions and functional solutions are never mutually exclusive. And while we recognize the benefits of this interdisciplinary collaboration in all areas of product development, it’s especially vital for pioneering successful sustainable design. The world’s best engineers would be hard pressed to make a fundamentally unsustainable design eco-friendly. Likewise, sustainable visions of the world’s greatest designers can be thwarted by engineering that is not in step with the essence of the design. And trying to impose sustainability ideals unilaterally at any point in the design process will undoubtedly lead to imperfect tradeoffs and ultimately a less sustainable product than a multilateral approach could have achieved. By working together every step of the way, designers and engineers can ensure that sustainability doesn’t have to be a compromise, but rather can be a natural progression of the design process. It takes a blend of creativity, common focus, and collaboration between these two disciplines to bring truly sustainable products to life. It’s this collaboration, this constant, bidirectional, sustainability solution-storming that we’ll be writing about in our posts. We’ll address the conversation during the initial ideation phase regarding the downsides of plastics disguised as metals, and metals disguised as plastics. We’ll highlight the discussions that take place during engineering design and testing concerning the costs of durability versus the benefits of steering away from a throwaway culture through perceptions of quality and personal attachment. We’ll try to convey the struggles and benefits that come as a result of establishing that common, seamless goal of sustainable design throughout our design process, and the creativity it takes to accomplish that goal – creativity that can truly make a difference.